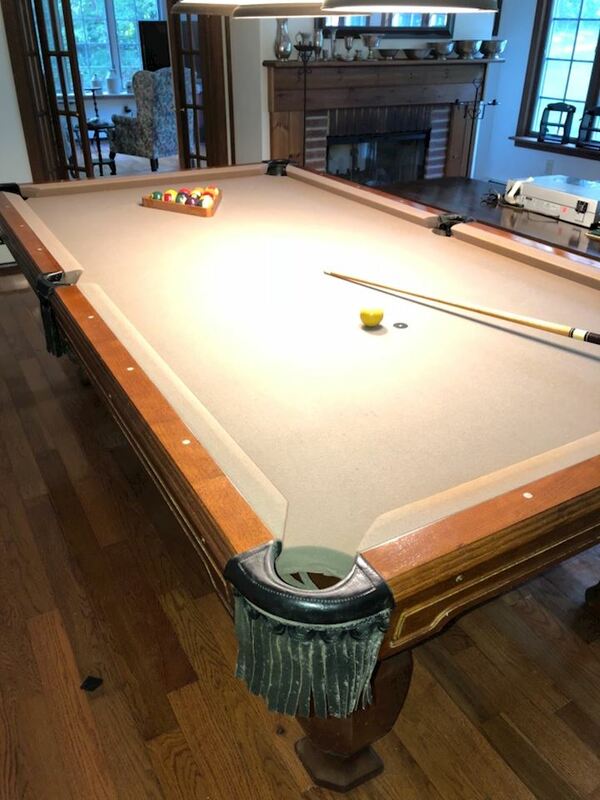 8 ft pool table Madison by Brunswick slate with leather pockets rack balls and cues and cover included. Loading is not included so bring at least 6 strong men or professional mover. Please use the Ask a Question form or the FAQ section if you have any questions about this item.